By day the deli is your perfect lunch location. Perch yourself along the counter to try our selections of cheese, charcuterie and tinned fish, paired with a recommended drink or two. Our Bar is the home of the Mar-tinny and the Can-hatten, batched and canned onsite. 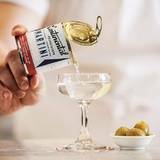 Continental also offers a sophisticated take on a whole host of other classic cocktails, primarily revolving around sherries, vermouths and house-made liqueurs. By night the Bistro steps it up with its shared-style, Mediterranean influenced menu. Available from 6 pm, it features ingredients from our deli with great seasonal produce to be enjoyed in a fun and casual dining space. Our selection of wines feature back vintages of classic Australian varietals and a complimentary worldly selection. We can accommodate bookings of up to 25 people and exclusive use bookings for special events - please get in touch with your enquiries. If you’d prefer to talk now, please call us at (02) 8624 3131.